Farflung - "So Many Minds, So Little Time"
From Los Angeles, Farflung plays a high energy, often punkish brand of spacerock that is more like a stealth bomber than an acid trip. Their influences range from early 70's Krautrock to Pink Floyd sound explorations, all on steroids and usually on the same song. On this, their third CD, the band has released a collection of singles and remixes. The band consists of Michael Esther, Tommy Grenas (How many bands is this guy in? ), AG Lovejoy, and Gammaknife, with contributions from Paul Fox, Doran Shelley and others. The disc opens with the 15 minute epic "Landing On Cydonia". The tune starts as a very trancey collage and develops into a Tangerine Dream tinged journey with a heavy dose of sequenced electronics. All this is subtly intense and throughout much of this the music gives the feeling of a huge climactic buildup that doesn't peak. Rather, it keeps me hanging on the edge of my seat. Finally the band launches into a heavy, droning Krautrock sound with eerie chanting vocals. A great tune. Along with Cydonia my other favorite track is "Icarus/Daedalus", an 11 minute improvised instrumental freakout that comes off like Interstellar Overdrive Part II. "The Way The Sky Is" is a heavy, rockin' cosmic piece that allows the listener to trip out and head bang at the same time. Also in this mold is "Vision Of Infinity" which the liner notes say is a tribute to the band Faust. The nod to that great Krautrock band is detectable in the rawness of the music, and close listening reveals all kinds raucous synth explorations. "See You Up There" is another heavy tune, though with a more overtly psychedelic feel than the other tracks. Also included is a remastered version of the title track from Farflung's second CD, "The Raven That Ate The Moon". The song starts out as a trippy easy-going journey and then blasts off into space heaven, finally winding down with a repeating tribal chant. Rounding out this collection is "Future Days" which was Farflung's contribution to a Can compilation, and "Mother Orbis" which showcases the band live at Spaceland in Los Angeles. 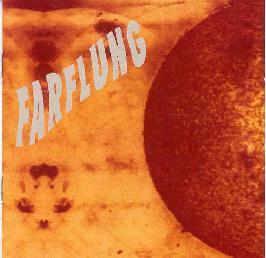 Personally I think all three of Farflung's CD's are essential for those who require their rock with a capital S.P.A.CE. They seem to have perfected the marriage of explosive energy and cosmic mind expansion. Recommended.